You can't get more classic than the classic silhouette! Last night I went out to the Nelson Atkins museum here in Kansas City. Several of the buildings are made from walls that are white and are lit from the inside so that the entire building glows white at night and it's really pretty! I tried shooting myself in a gazillion different poses and all I can say is ... I should have stretched beforehand. I'm uh ... I'm slightly sore today. Shooting a silhouette of some one/something is actually very easy! Have you ever tried to shoot a picture of the sunset and while the sky might have been colorful and beautiful, the foreground area was so dark that it was basically black? That's the idea behind shooting a silhouette. The secret to creating a silhouette is to expose for the sky or whatever the background is. This means that you're telling your camera to let enough light in so that you can see the colors and detail of the sky or background—not the subject. I'm a big believer in shooting in manual mode. Silhouettes are best taken in full manual mode. 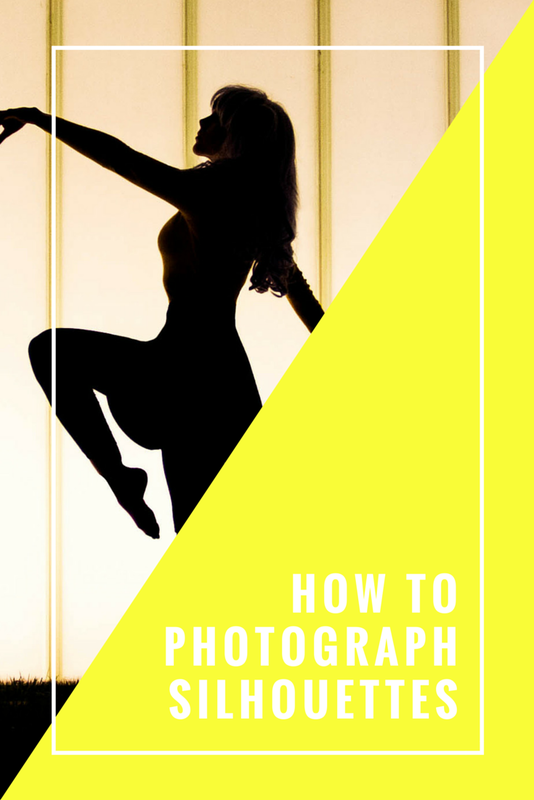 If you shoot in one of the automatic modes you risk your camera trying to create more of an even exposure- it'll try and expose for both the subject AND the background and then you'll be left with a really "blah" silhouette and a ho-hum background. After you've taken your photo, you can make the silhouette more dramatic by increasing the contrast in post. So expose for that background, experiment and have fun! And stretch beforehand.